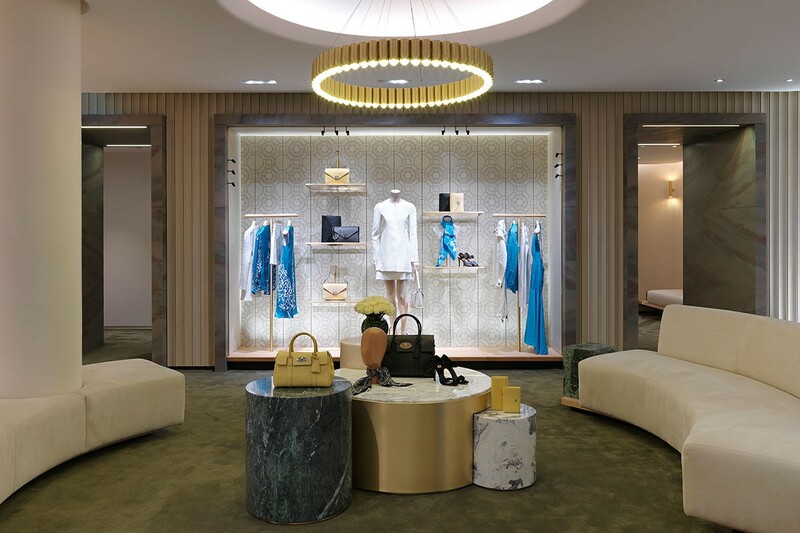 For the new Paris flagship store of Mulberry, the British luxury brand known for its iconic leather goods, Spinneybeck collaborator, Genevieve Bennett, drew upon its rich heritage rooted in English traditions. The ornate carved medieval stonework of the Wells Cathedral in the heart of Somerset, specifically a notable floral motif above the fluted medieval archways, was an important influence. 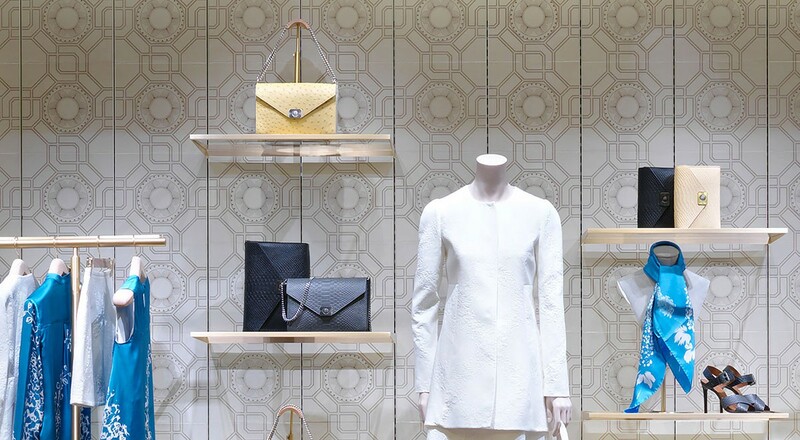 The resulting ‘Tudor Rose’ pattern is combined with geometric latticework that evokes its English cultural origin while feeling unmistakably contemporary. 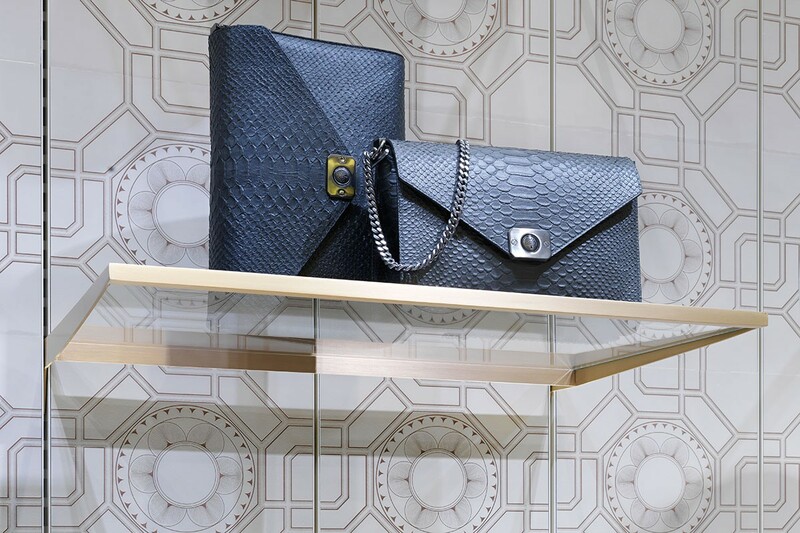 The resulting design is laser engraved on full grain, vegetable tanned Belting Leather tiles which create a striking bespoke backdrop and combine the beauty and warmth of a natural leather with the precise detailing allowed by laser technology. For more information, please visit the Custom Laser Engraving product page.